Cytoplasmic Genes and Organelles is about cytoplasmic genes: what they are and what they do. It applies the concepts and methods of cytoplasmic genetics to the problems of cell and molecular biology to which they can uniquely contribute. It shows geneticists the many attractive problems in this area awaiting their attention; cell biologists and biochemists the usefulness of cytoplasmic genetic analysis in their endeavors; and students the potential power of an integrated experimental approach using cytoplasmic genes together with the more conventional tools of biochemistry and electron microscopy in the investigation of organelle biogenesis. 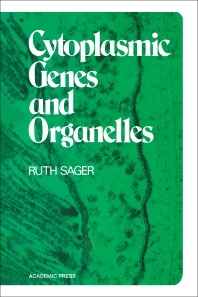 The book treats the following aspects of cytoplasmic genetic systems: (1) the properties of cytoplasmic DNA; (2) the genetic analysis of cytoplasmic systems; and (3) the functions of cytoplasmic genes in organelle biogenesis. The opening chapter summarizes the principal findings to provide readers with a bird's eye view of the subject. Subsequent chapters cover topics such as cytoplastmic DNAs; cytoplasmic genes in Chlamydomonas; mitochondrial genetics of yeast; cytoplasmic genes in higher plants; the role of mitochondrial genes in mitochondrial biogenesis; and cytoplasmic genes and cell heredity.